Read-out Instrumentation Signpost: Delivering advanced analysis! 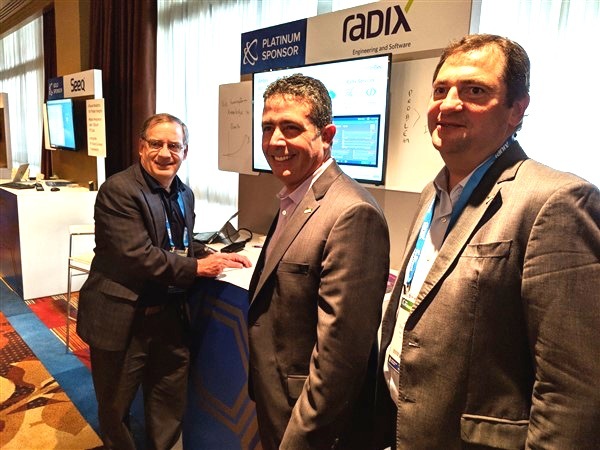 Radix and Seeq, both sponsors of PI World, will partner to deliver advanced analytics solutions to their customers. The goal of the partnership is to accelerate digital transformation and harness the capabilities of advanced analytics to deliver greater operational efficiency and deeper insight across the organization. Radix has extensive experience and understanding of the enterprise operational data platform. Combined with Seeq’s advanced analytics solution, it is a natural extension that will enhance the digital transformation of customer’s operations. “Solution providers like Radix Engineering are critical to the delivery of Seeq as an advanced analytics solution. Our customers rely upon the experience and expertise from partners like Radix to enable solutions that deliver insight and drive results,” highlighted Steve Sliwa, CEO of Seeq. Radix and Seeq chose the timing of the announcement to coincide with OSIsoft’s premier User Conference, PI World. With many joint customers attending PI World and both of their company’s commitments to the PI platform from OSIsoft, it was a natural opportunity to highlight the capabilities that they bring together. Network function added to digital indicator. Hermes for sell-calibrating temperature probe! IT & Automation expertese for Ireland & Britain. Module Systems with Higher Performance. Front and Back Office Analytics. Software acquisition to accelerate digital transformation. Exciter system for Large-Scale Modal Testing. Four Quick Tips for Making Smart, Strategic Decisions at Your Industrial Plant or Facility - The post Four Quick Tips for Making Smart, Strategic Decisions at Your Industrial Plant or Facility first appeared on the ISA Interchange blog site.